Martin Margiela exhibition in Antwerp, 2008. 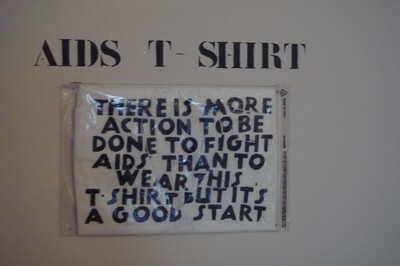 There is more action to be done to fight aids than to wear this t-shirt but it's a good start. You have to appreciate the work Katherine Hamnett does with raising awareness through clothing but nowhere does it beat this self-consciousness displayed in this garment by Martin Margiela.